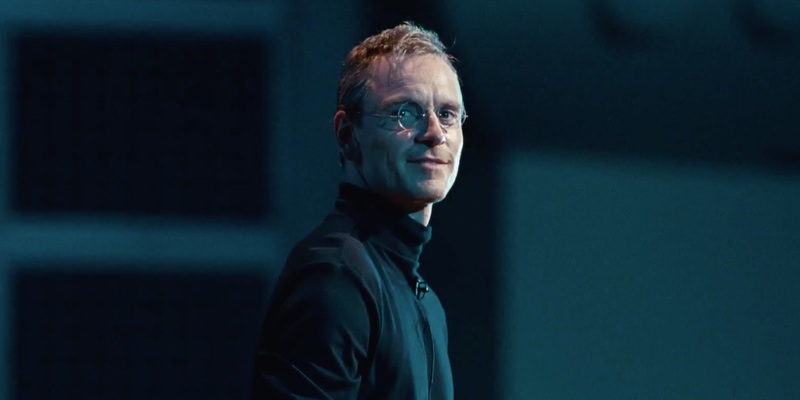 Danny Boyle directs Michael Fassbender in and as Steve Jobs. 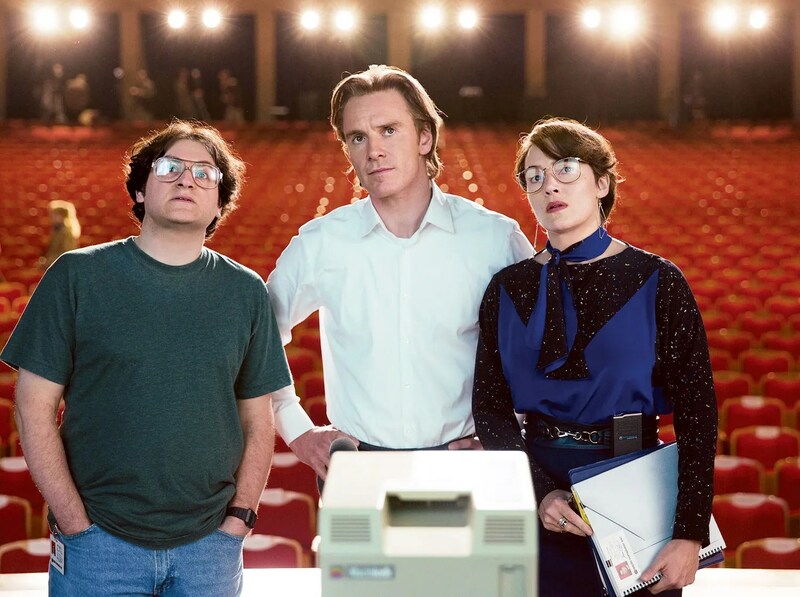 Supported by an ensemble cast of Kate Winslet, Jeff Daniels, Seth Rogen and Michael Stuhlberg in a script by Aaron Sorkin this is the definitive Steve Jobs movie that we have been waiting for. By no means is this a flattering biopic at one of the 21st century’s most fascinating figures from the world of Technology. Equal parts genius and tyrant Jobs was an enigmatic figure who many credit to having revolutionalised the personal computing world. Michael Fassbender is fast becoming the modern day Daniel Day Lewis with his chameleon like ability to transform into any character he is given. The physical resemblance to Steve Jobs towards the later part of his life is uncanny. Besides the physical similarities his mannerisms lend an uneasy energy to the scene, you are permanently waiting for him to lash out at something or someone. Kate Winslet as Joanna Hoffman, Jobs’ work wife does an amazing job playing the emotional anchor of the movie. She plays the understanding yet exasperated partner to Jobs. Winslet is assured a nomination as supporting actor and at this stage I am willing to bet that she takes home the gold. She is that good. Jeff Daniels as John Scully the Pepsi Co CEO who joins Apple and is eventually responsible for the firing of Steve Jobs is understatedly brilliant. Seth Rogen as the lovable Steve Wozniak puts in a power packed performance as well. But the real star of the movie is Script writer Aaron Sorkin. For anyone familiar with Sorkin’s work this movie is jam packed with Sorkinisms. To the uninitiated Sorkinisms is when a bunch of characters talk over one another in seemingly unrelated subjects yet everything seems to sound so profound. Yes many have disliked this very aspect of Sorkin’s writing but I couldn’t care less about them. I love it. It makes for an edge of seat drama where you hang on to every word being said lest you miss some pearls of wisdom. Sorkin has written this movie in 3 acts. The first one at the launch of the Macintosh in 1984 where we see Jobs ranting about how he was left off the cover of times magazine and how he fights the paternity law suit and how he does not want to acknowledge Apple 2 a machine he deems unworthy of his time and something that was a thing of the past. His relationship with Scully though has shades of a father-son dynamic where Jobs looks up to Scully. Act 2 is after jobs has been fired from apple after the spectacular failure of the Macintosh and has set up his own company and is launching the aesthetically pleasing Cube. We see him closer to his daughter but his relationship with his wife is still strained. He still patronizes Woz while still there is that sense of friendship that goes back many years. The relationship with Scully though has changed and we see both their points of views about what happened when Scully pushed out Jobs from apple. This is 1988. Cut to the final act where Steve Jobs is launching the iMac. The same set of people around him, Joanna still trying to reign in Jobs, the reporter from GQ still wandering about t. Finally we see the tensions between Jobs and Woz come to a boil over Apple 2 again and this time Woz has the last word it is a scene that one would have never expected Rogen of Superbad to ever be able to deliver with a straight face. That scene is electric. Sorkin and Boyle infuse a lot of subtlety into the story telling that is usually missing from a biopic. Trying to capture the eccentricities of Steve Jobs they masterfully weave the fact that he was vegan into the narrative when Jobs and Scully are meeting for the first time when Jobs wants Scully to come on board as CEO. The story behind the apple logo and how it may have been inspired Alan Turing is dealt with in such a matter of fact manner. And the final scene where Jobs is trying to connect with his daughter and promises her how he will put a thousand songs in her pocket someday so that she doesn’t have to carry around a brick shaped cassette player aka the genesis of the IPod. I am certain that this is a movie that will only get better with repeat viewing. Daniel Pemberton’s understated soundtrack infuses each of the scenes with an electric energy. He deals mostly in silence and single strings but it has a profound effect on the overall viewing. There are no jarring orchestra pieces but subtle and complementary tones that never once seem to overpower the scenery. Alwin H Kuchler as the DOP brings the same sense of energy that he did to Hanna. It feels hurried and frenetic at the same time as it a chilling sense of calm. The opening shot is reminiscent of the Emmanuel Lubezki’s work on The Birdman where the camera follows jobs through the various corridors and rooms as Jobs meets with and talks to the different characters. 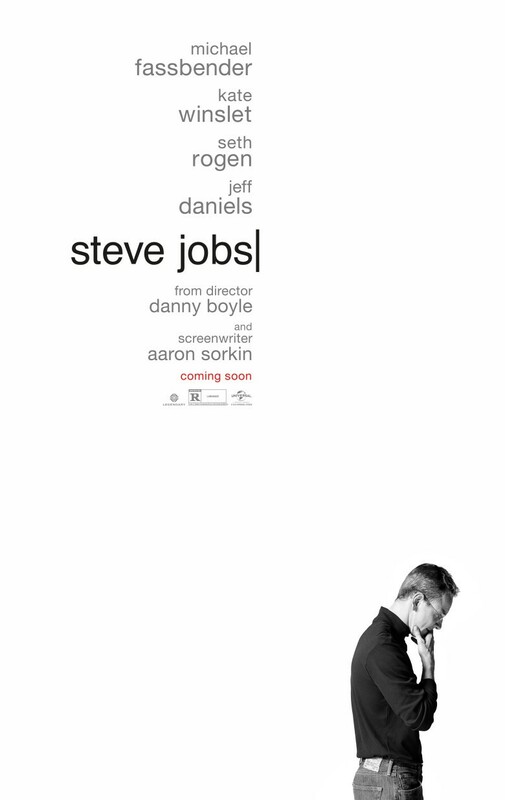 I have read a few reviews where people are complaining how this movie does not live up to the image of Steve Jobs the Tech Messiah but rather paints a picture of a brilliant yet arrogant and a mostly flawed individual. I think that is the best way to portray a man who was exactly that. Unless of course it was Steve Jobs who was making a movie about himself then he would present that in a slick packaging with millions would be foaming at the mouth to get a piece of. This is exceptional film making and a story telling that is second to none. Sorkin Fassbender take a bow, you have delivered one of the best biopics of all time. I cannot wait to go back and watch this again.